Simple, yet profitable---this is how we can appropriately describe this traditional dessert recipe that can be your home-based food business idea for the day. <>Plantain or saba banana (‘cooking banana’) is a common variety of the fruit in the country. That is why it is a usual ingredient in many traditional desserts and street food sold in the local market. 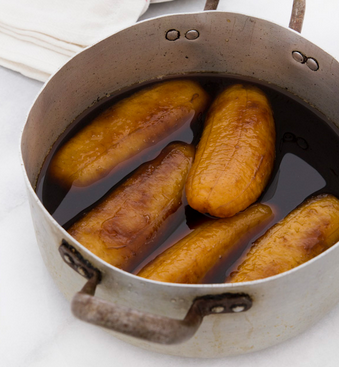 From the street staple banana cue to turon, ginataang bilo-bilo, and halo-halo, saba banana is also an important component of dishes like pochero. You can start a small food business today by making and selling another traditional dessert using saba banana as main ingredient. 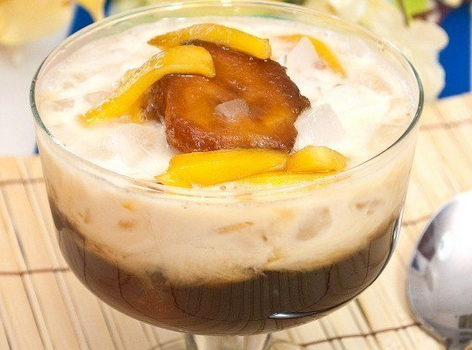 If you are familiar with minatamis na saging, you can make another dessert from it---saba con yelo. Some people prefer to add tapioca or small sago pearls to make their saba con yelo more interesting. This simple recipe takes out that option, but you can always opt to have it. Instead, we recommend adding jackfruit strips (minatamis or preserved) to enhance the sweetness of minatamis na saging. The recipe is very simple but the business idea is highly profitable. Saba banana can be bought in the market for about P2 per piece. A serving of saba con yelo with two pieces of banana is usually sold in local food joints and food carts for about P20 to P30. Do the math to figure out the hefty profit you can generate by selling tens to hundreds of servings of saba con yelo per day. 1. Prepare minatamis na saging. Here’s how to do it. In a saucepan, bring water to a boil over medium heat. 2. Pour brown sugar into it and continuously stir until it is dissolved. Add vanilla extract afterwards. 3. Add peeled saba bananas. Let it cook for about 15 minutes. Remove the saucepan from heat and set aside to let it cool down. 5. Top the bowl with about half cup of crushed or shaved ice. 6. Pour a generous amount of evaporated milk and top with jackfruit before serving.